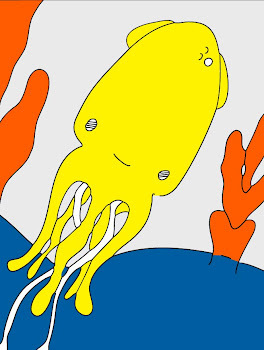 Technicolor Squid: Check It Out. Ooh hello everybody! I hope that all of you delightful people are having a delightful day! Well, we had an okay day. There was some annoying medical red tape with some prescreption renewals and we had to take our sweet, lovable, grumpy old one-eyed cat to the vets due to some continued stomach problems. So that was not very fun. I do have some fun news coming soon though! Yay! Well, there is 21 more library books around the house, but I will spare you the details. Oh I did however check out Blink. Thanks again for all of the book reviews! Hugs! xox=vv. I love the library!! I don't go often enough.